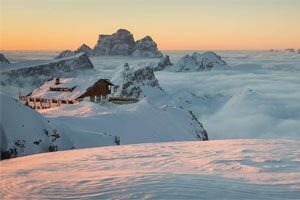 It has been rich in snow and sun, with perfect slopes for the delight of the white sports enthusiasts. the Lagazuoi refuge will welcome and pamper his summer guests from June 8th. 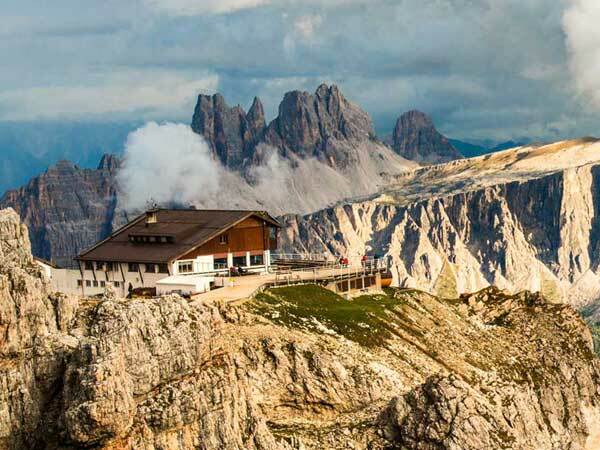 We look forward to welcoming you this summer on the most beautiful terrace of the Dolomites with interesting news! In summer, Mount Lagazuoi is visited by hikers and climbers of all levels of ability, as it offers both challenging climbing routes - including crags, rope-lined routes and climbing practice walls - and easy panoramic paths, such as the one up to the summit cross. The pathways linking the emplacements, trenches and tunnels of the largest Open Air Museum of World War One are of great significance for history and for the surroundings. Accessible to everyone, even with pushchairs and wheelchairs! Delicious food and accommodation only 50 meters away from the upper station of the cable car and at a short distance from the summit of the Piccolo Lagazuoi, easily accessible on foot or by the Lagazuoi cable car.